The clinical trial, funded by Aimmune Therapeutics, included 551 participants ranging in age from 4 to 55 years who suffered from a peanut allergy. Most of the children involved were between the ages of 4 and 17. A quarter of the participants were given a placebo, while 3/4 received oral doses of small amounts of peanut protein powder. At first, those in the peanut group received just 1/2 a milligram a day. However, over time, researchers increased that amount until they reached the “maintenance dose” of 300 milligrams, equivalent of 1 peanut per day. After 9 to 12 months of treatment, 2/3 of the participants in the peanut group were able to tolerate the equivalent of 2 peanuts per day, compared to just 4% of those in the placebo group. The treatment isn’t a cure for peanut allergies, but building up a tolerance to the legumes could save countless lives. Hopefully, those with allergies could go above and beyond 4 peanuts. The results of the study were presented at the American College of Allergy, Asthma, and Immunology (ACAAI) Annual Meeting and published in the New England Journal of Medicine. Food allergies can cause symptoms as mild as itching to severe as anaphylactic shock and even death. According to FARE, about 40% of children with food allergies have had severe reactions to their trigger foods, including anaphylaxis, which causes the throat, lips, and tongue to swell, in addition to difficulty breathing and swallowing. Some people may experience vomiting and hives or skin rash. The only treatment for anaphylaxis is the drug epinephrine, which typically comes in the form of an EpiPen. If anaphylaxis isn’t treated quickly, it can be deadly. 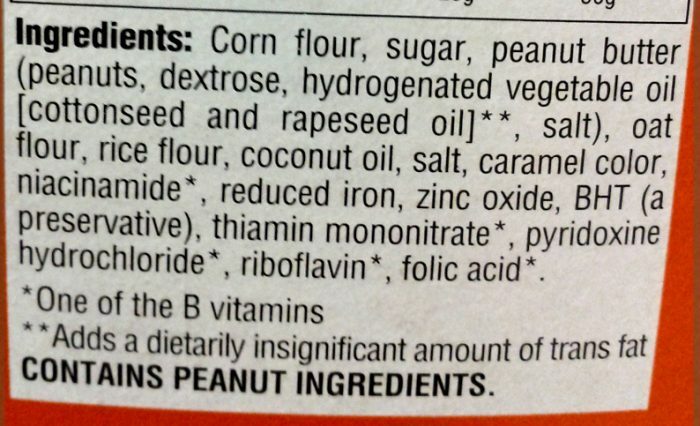 The new treatment was never intended to cure peanut allergies, but rather to help people build up enough of a tolerance that accidental small exposures aren’t so deathly-serious. Peanut allergy sufferers would be able to enjoy more foods without worrying so much about trace amounts hidden in packaged foods, and parents could rest easier, knowing that cross-contamination from a peanut butter and jelly sandwich is less risky for their child. Read: 15 Million Americans Suffer From Allergies: Could GMOs be to Blame? Unfortunately, those who benefit from the treatment will have to continue to take it long-term to maintain their peanut tolerance. Not everyone in the study benefited from the treatment, however, and those who did benefit from the treatment struggled through the desensitization process. About 12% of participants bailed out of the study due to side effects, compared to about 2% of the placebo group.